♫ “We are the farmers who work the land and grow the crops to feed the cows that give the miiiiiiiilk…for you to enjoy!” ♫ So catchy, I get a kick out of this silly little local jingle, not to mention I find myself singing it when I’m thinking about making gelato! HA HA! 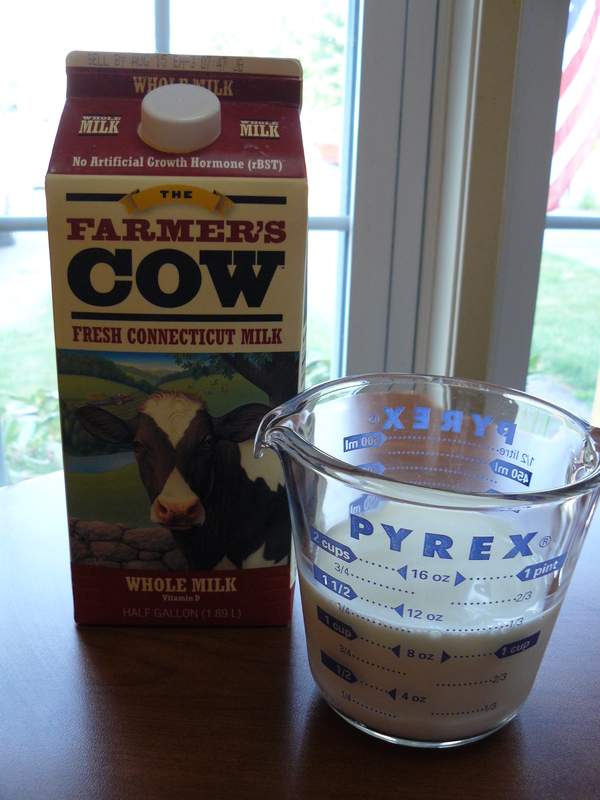 Fresh Connecticut milk from The Farmer’s Cow makes killer gelato, don’tchaknow? Andiamo–let’s go make some! 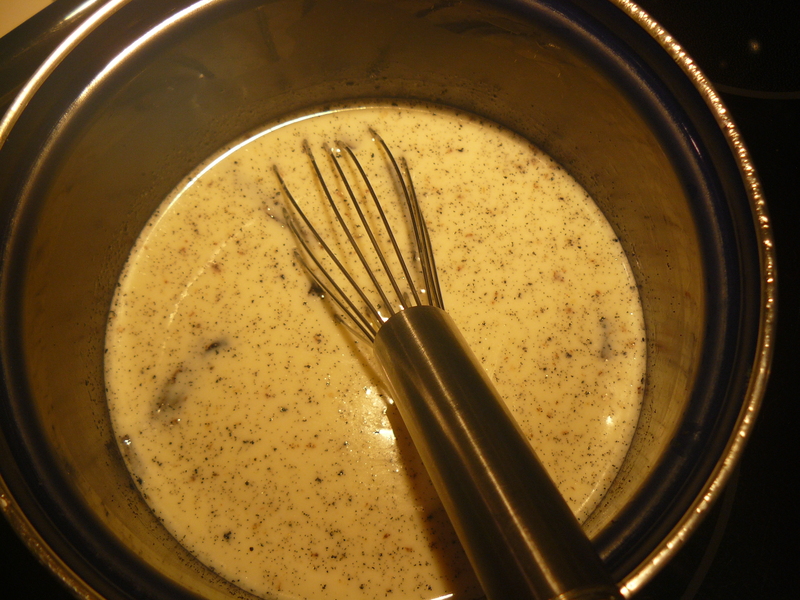 Combine milk and cream in a saucepan. Scrape vanilla bean seeds with the tip of a sharp knife–add both seeds and pod to the milk mixture. Dig my new pig! In a separate bowl, beat together egg yolks and sweetened condensed milk till smooth. Temper egg mixture by slowly adding to hot milk, whisking constantly. Ooh, look at all the vanilla bean specks! 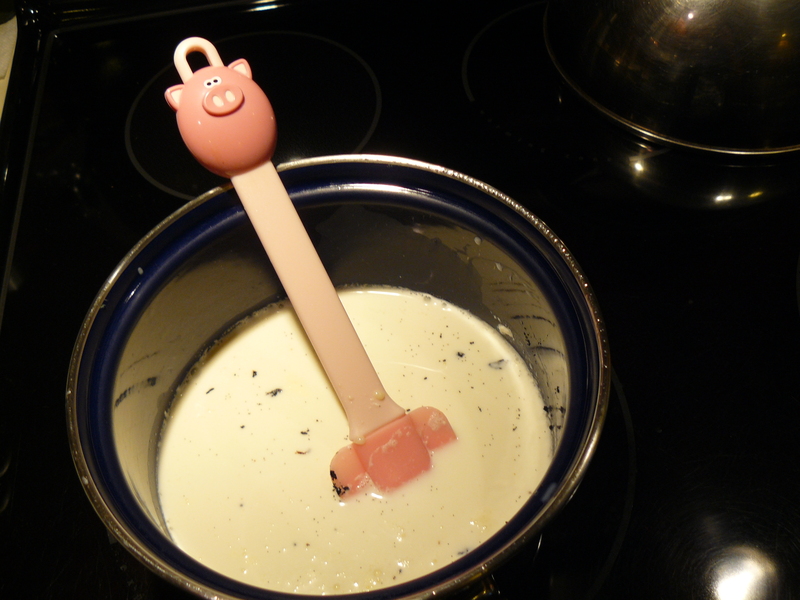 Cook over medium-high heat and continue to whisk until the mixture reaches 160 degrees F. Do not let it boil! This custard will be exceptionally thick. Strain through fine-mesh sieve into clean bowl, remove pod, if you’re adding bourbon, now’s the time to do so. Stir in salt. Let cool to room temperature. You can make an ice bath to speed up the process. 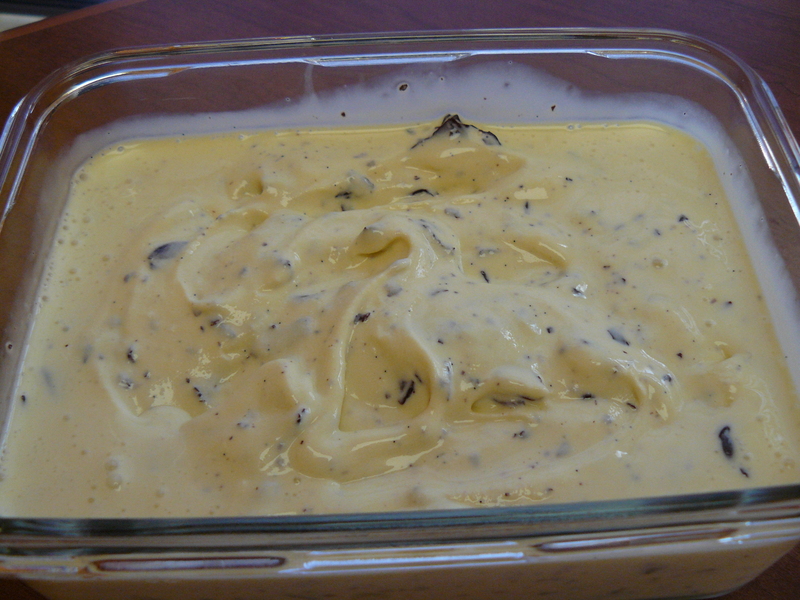 Chill custard overnight or at least four hours. While your gelato processes, melt the dark chocolate in the microwave. When the gelato is finished, keep the machine running, then pour the melted chocolate S-L-O-W-L-Y and carefully in a fine stream. 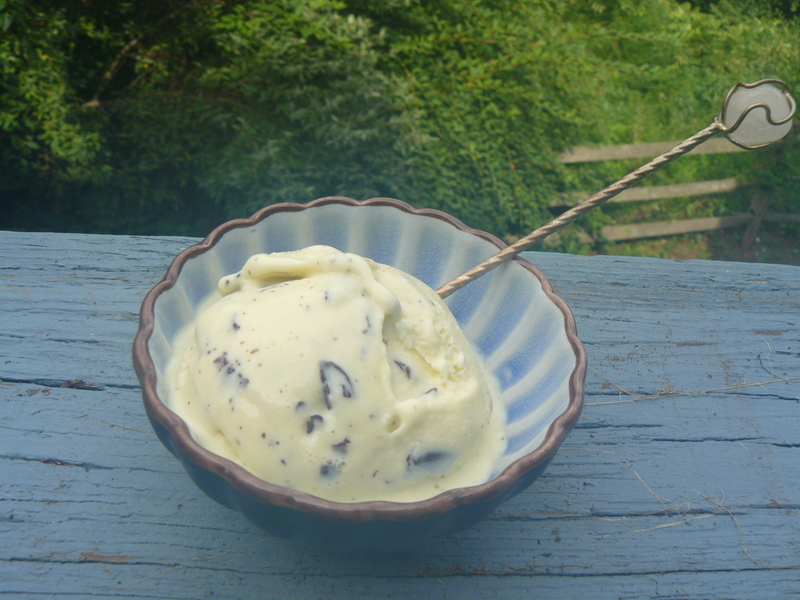 The chocolate will harden in tiny bits and streaks that make the gelato uniquely stracciatella and not just ordinary chocolate chip! I must confess, this particular gelato was so delicious, I ate far more than my fair share. And can’t wait to make it again! MOOOOO!